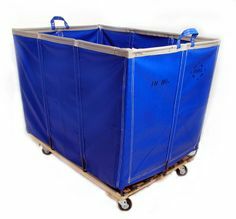 Latest Products Corporation carries a complete line of multipurpose laundry carts in all different sizes and materials — used for all types of applications. We have everything from canvas duck, soft vinyl, hard polyethylene — whatever your needs are we have a transport cart for you!!. We also carry a full line of accessories to use with our carts to assist with workflow. Our laundry carts can be seen in thousands of hospitals, nursing homes, correctional facilities, commercial laundries, and institutions nationwide.